Coca-Cola has been fortunate — and savvy — enough to ingrain itself in the minds of holiday shoppers with two uniquely popular campaigns. 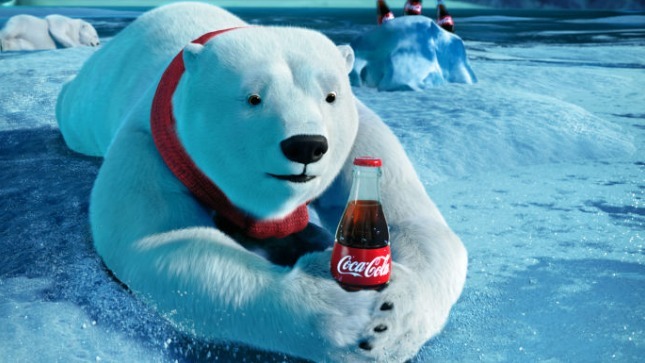 On top of Santa infamously donning the Coke-red robes, Coca-Cola introduced the polar bear as a mascot back in 1922. They’ve periodically used a mother bear and cubs in seasonal advertising for decades to follow. 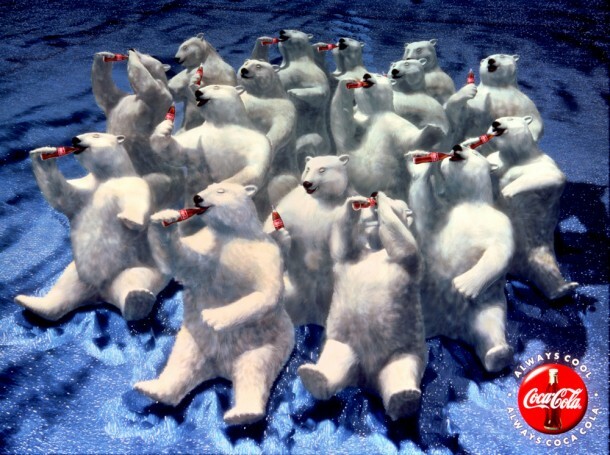 In 1993, however, the first animated bears appeared in a story showing a number of bears sitting back to watch the northern lights while drinking Coke. Their immediate popularity ensured the return of the bears in subsequent adverts. Notable appearances include a spot in 1994 when the bears slid down a ski jump to commemorate the Olympic Games, and in 2013 when the bears were featured in a short film directed by Ridley Scott. This certainly translates into the advertisements, where the bears are seen performing amusing activities with comical sound effects (recorded by Mr. Stewart himself). The bears’ characteristics and humor no doubt underpin their popularity with children and adults alike, while the innovative stories allow the campaign to repeat without becoming stale. This notwithstanding, the use of polar bears has given rise to some controversy. In 2011, Coca-Cola pledged $2 million toward saving the species from extinction, and helped raise a further $3 million from consumers. Nevertheless, in 2011 to 2013, the company spent approximately $9.8 billion on marketing, and generated $8.7 billion in profits. The World Wildlife Fund states that at least double the amount raised would be needed to make an impact on saving the polar bear. For some consumers, this raises the question as to whether Coca-Cola, which has benefited well from the polar bear campaign, ought to do more. Coca-Cola is a brand that knows how to establish an emotional connection between its product and the holiday themes of families gathering and togetherness. Animals can provide ever-popular characters to sell your product; give them recognizable human characteristics for consumers to identify with.